Roller Mills by SIEBTECHNIK TEMA. Crushing & milling equipment. Increasingly stringent requirements being made of product properties mean that comminution processes in the bulk materials industry today must satisfy significantly higher standards. 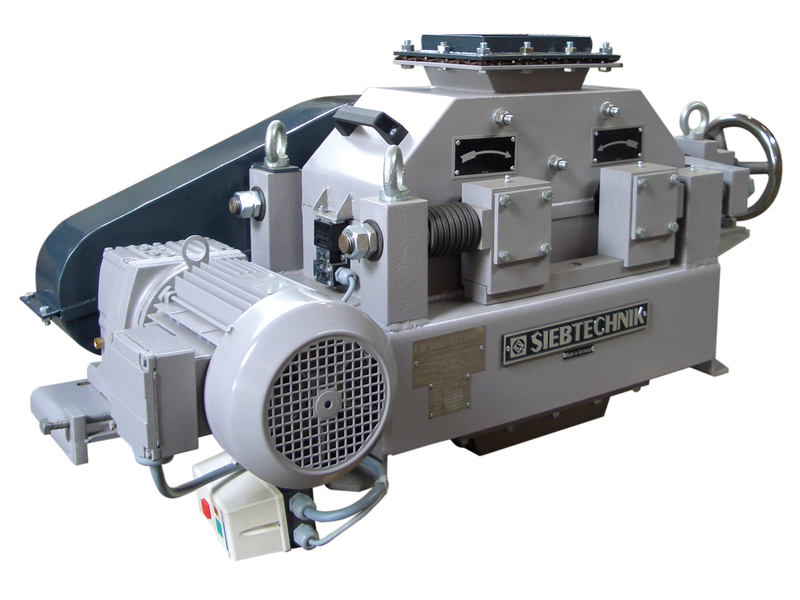 Requirements that SIEBTECHNIK roller mills for applications in the mineral and metal industry, the food industry through to the chemical and pharmaceutical industry are well up to. Our roller mills are capable of comminuting very hard through to soft products homogeneously and with a minimum fine material content, depending on requirements, to a reduction ratio of between 1:5 and 1:1.5 and our double-roller mills to a Mohs hardness of up to approx. 8.5. 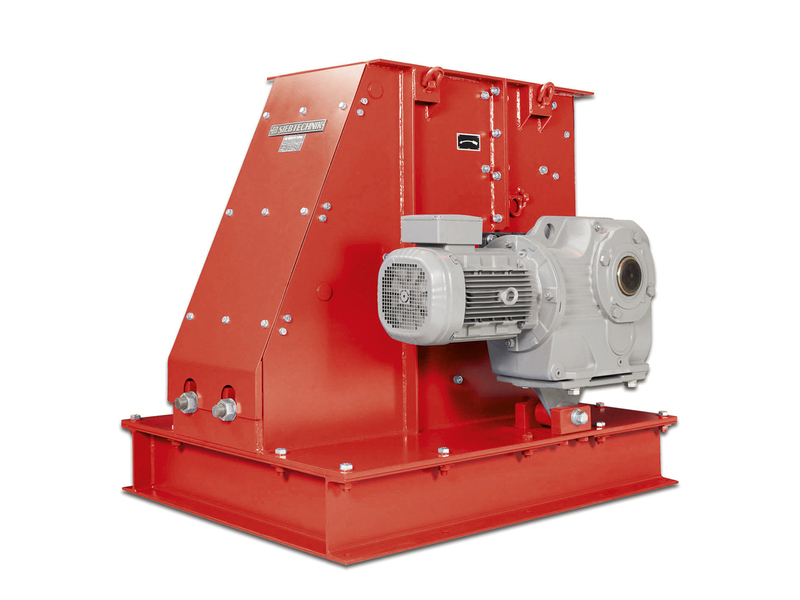 With the single-roller mills, brittle, soft to medium-hard materials can be reduced in size with a reduction ratio of approx. 1:5 to 1:5. 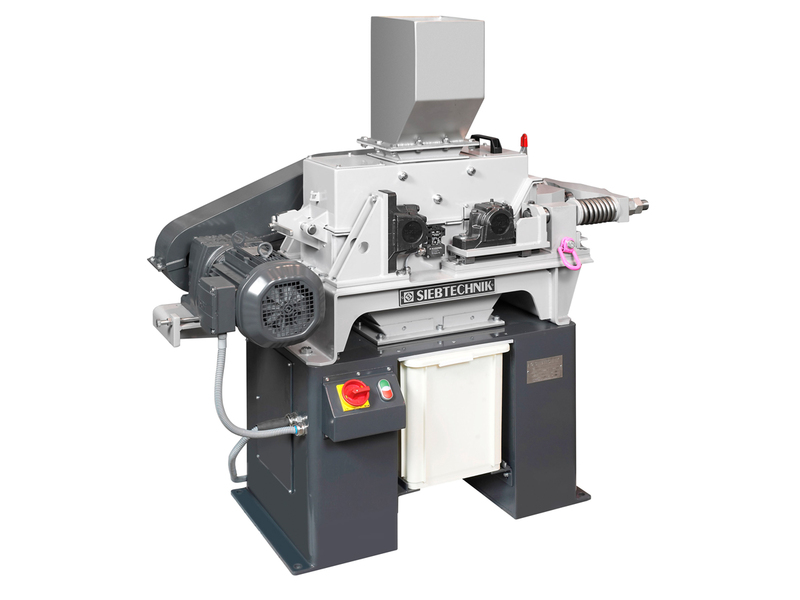 The stepped arrangement of the crushing jaws on the crushing wall enables any material rolling off being minimised, so that, compared to the double-roller mill, coarser material can be drawn in. 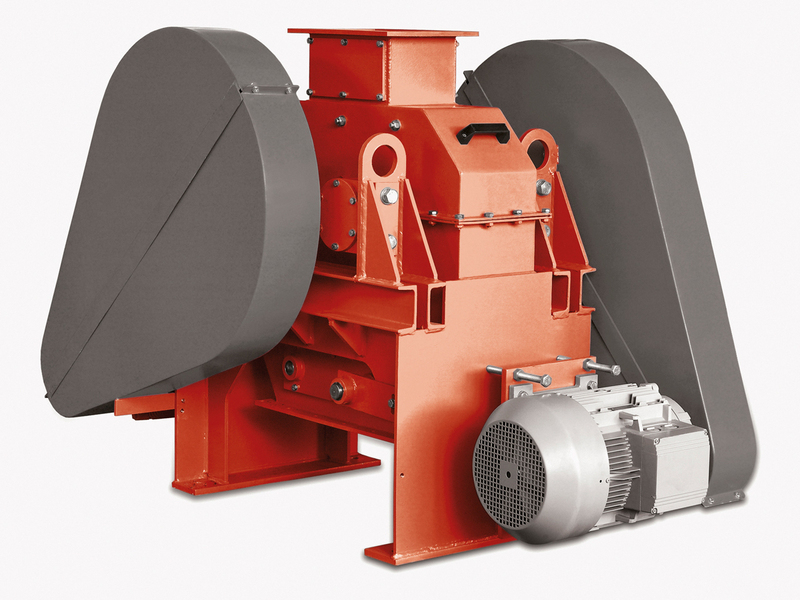 With the double-roller mill, all brittle materials, such as, for example, ores, clinker, limestone, gypsum, aluminium oxide, glass, … can be reduced in size up to a Mohs’ hardness of approx. 8.5 with a reduction ratio from 1:2 to 1:5. Comminution occurs between a rotating roller and a flexibly supported crushing wall mainly through compressive and shear stress. 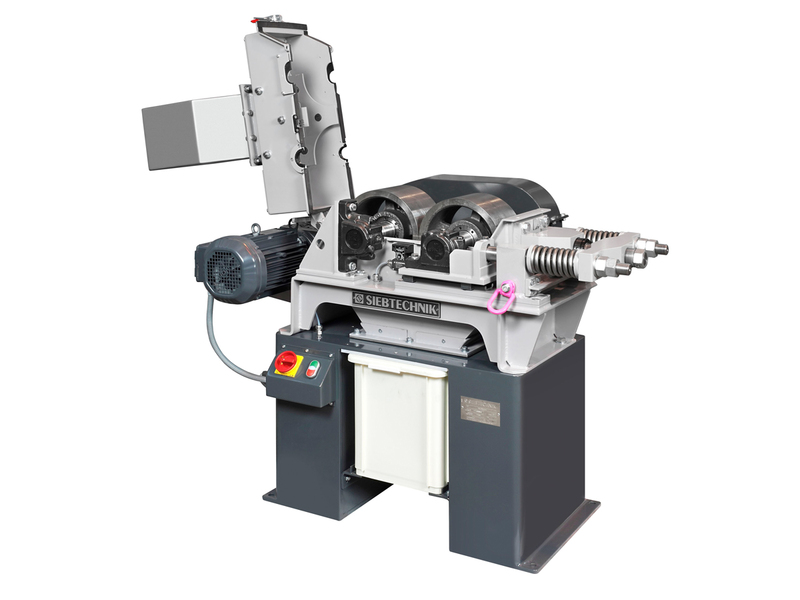 The fed material is drawn in through the rotating roller by means of shear and compressive stress until it can pass through the smallest opening between the roller and crushing wall. In the model with toothed crushing strip, the feeding behaviour is additionally improved by appropriately formed crushing strips, especially with moist feed materials. 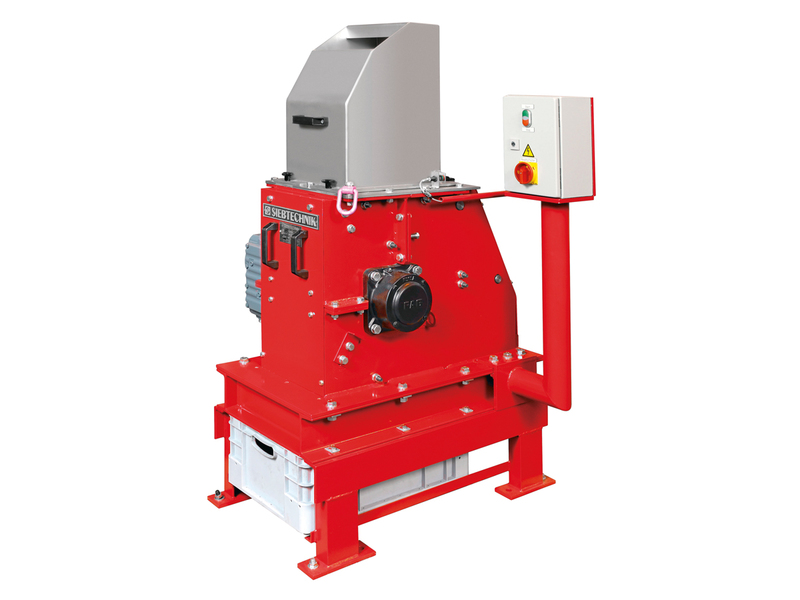 The throughput of the single-roller mill is determined decisively by the final grain size required and thus by the gap width between the rollers. 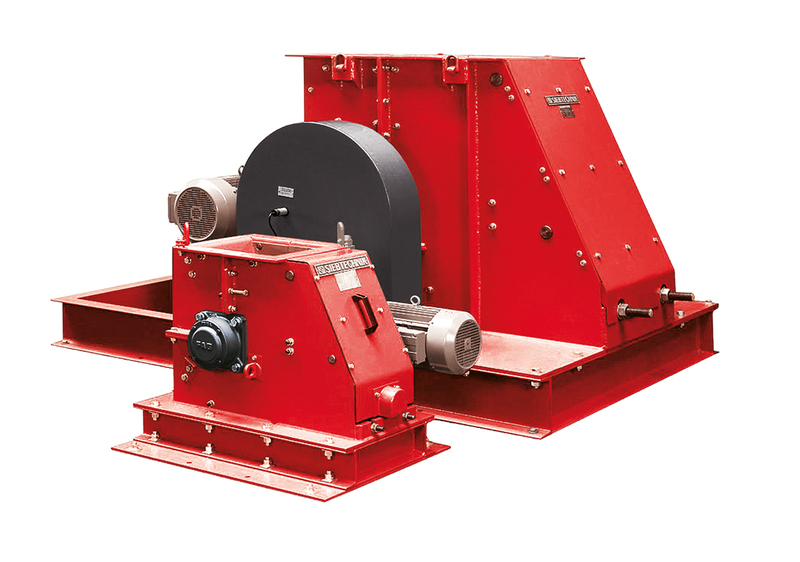 The single-roller mill has a crushing roller provided with crushing strips. 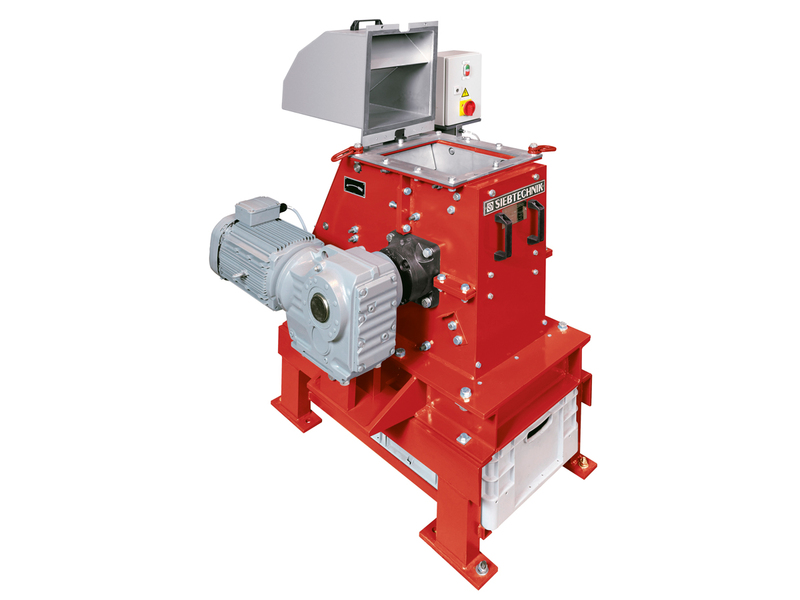 The crushing strips can be lined to improve the feeding behaviour, which additionally improves the throughput with a final product that becomes coarser. 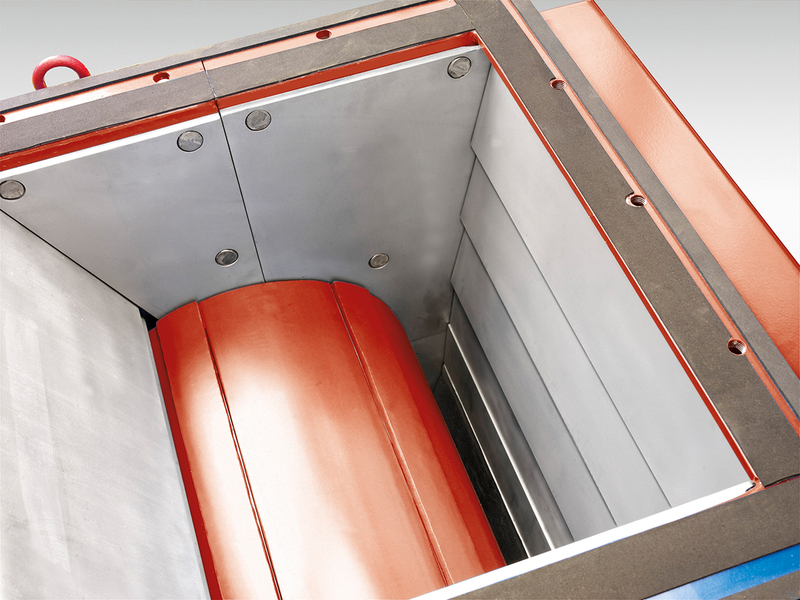 The crushing wall with mounted crushing jaws is supported by springs, so that protection is ensured against overloading and minor foreign bodies. It can also be adjusted via threaded spindles to set the end product fineness. 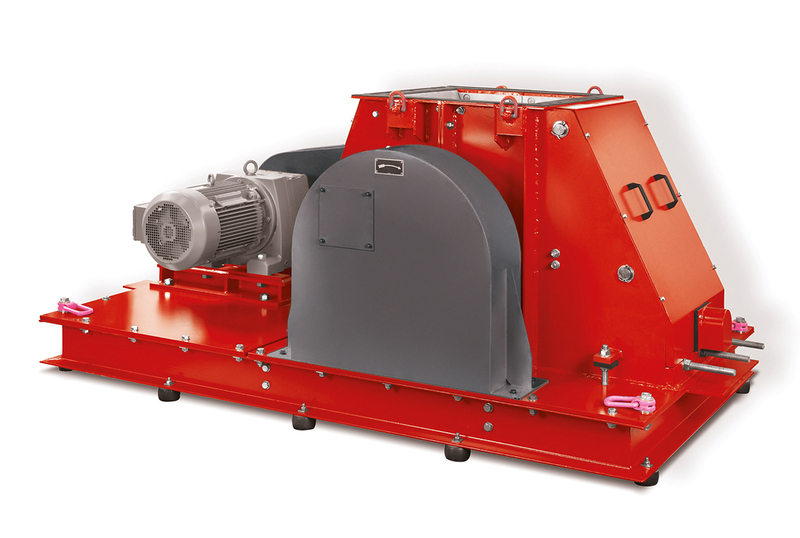 The throughput is dependent on the size of the discharge opening, the bulk weight and the size reduction behaviour of the crushed material. 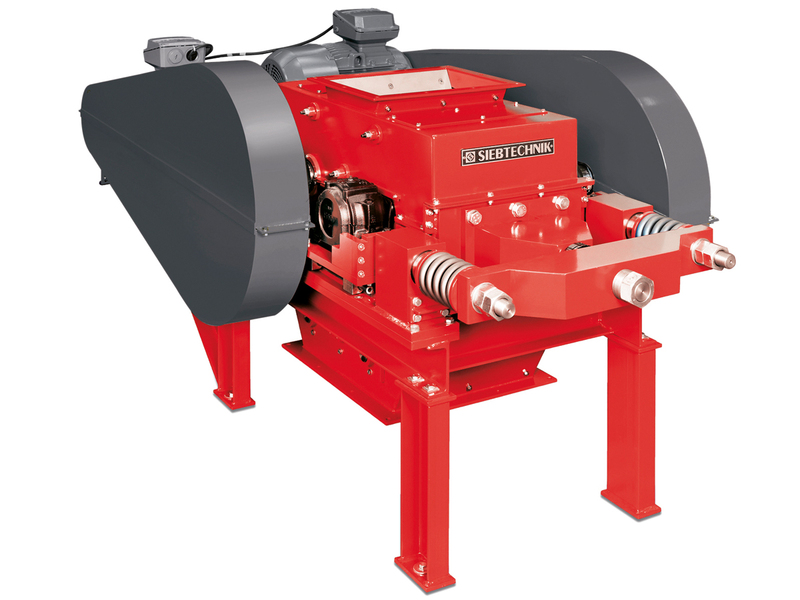 Crushing is done between two counter-rotating rollers mainly through compressive and shear stress. The smooth crushing rollers are arranged on opposite sides, one of them being fixed to the housing and the other arranged flexibly. 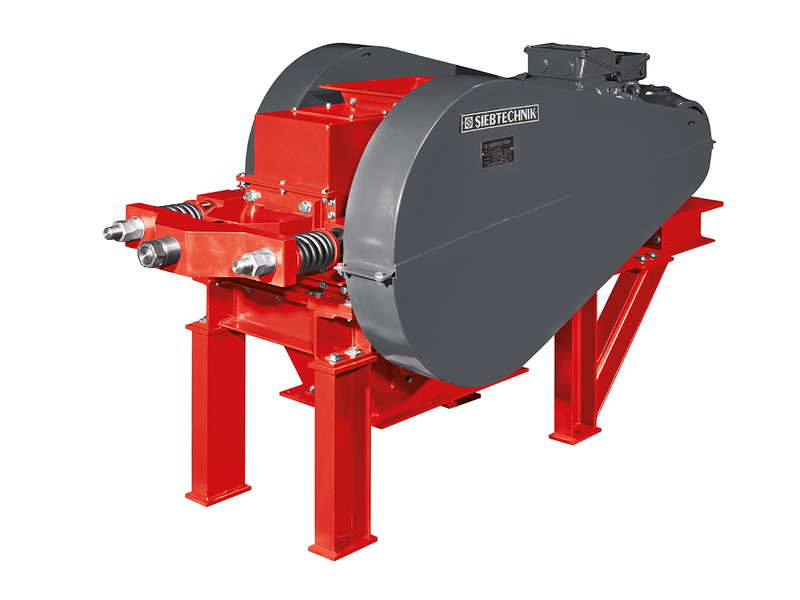 The flexibly appointed crushing roller can be moved via a spindle in order to thus set the opening between the two rollers infinitely variably. 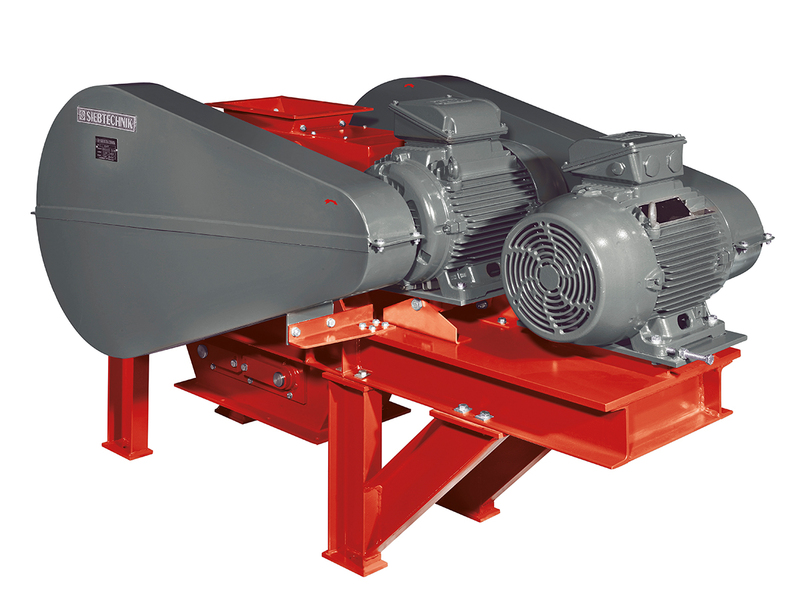 To protect the crusher from minor foreign bodies, the flexible roller is supported by spring packages that can be adjusted to meet requirements in the prestressing force. The two crushing rollers are driven by a V-belt drive. 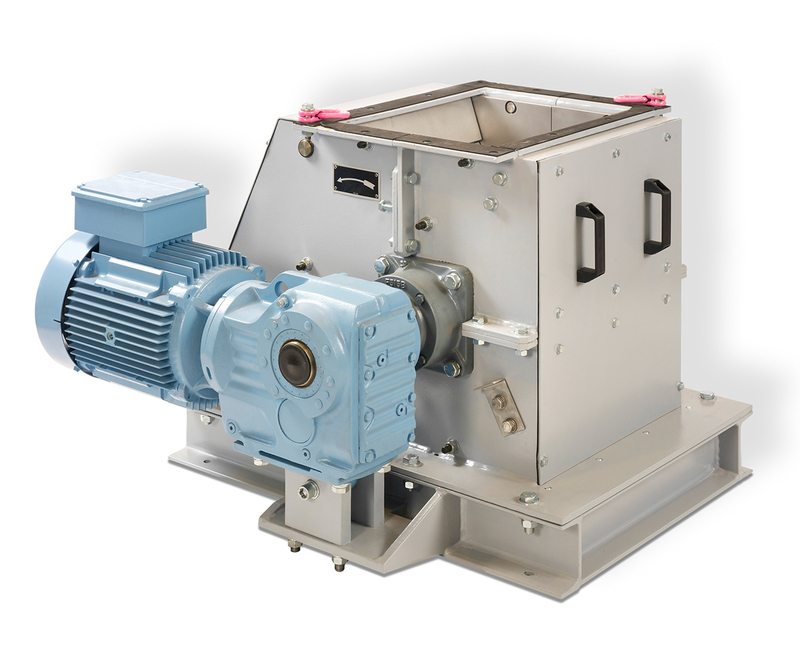 The double-roller mills are executed by us in two versions: In the laboratory version, the machine is equipped with a tamper-proof feeding funnel, the base frame with integrated control system and the safety-monitored collecting box. 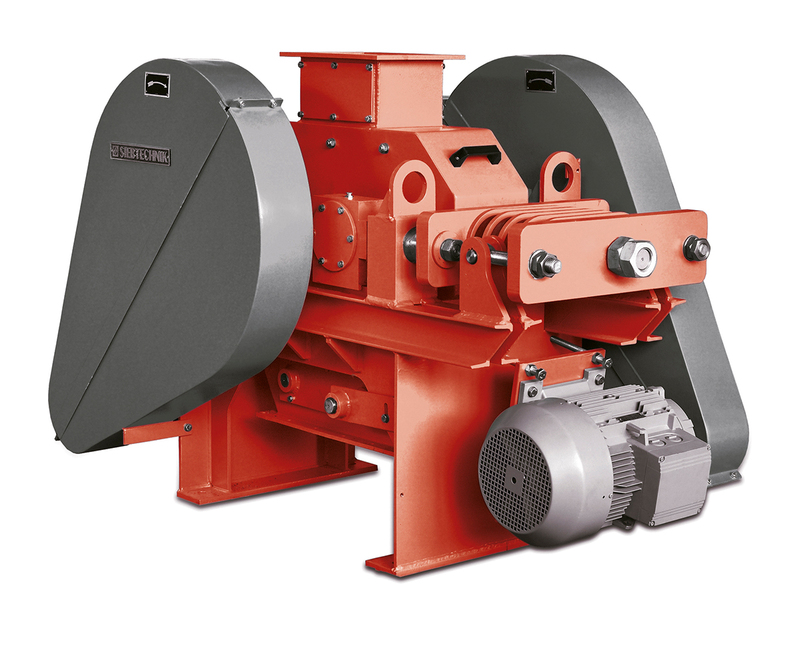 For installation of the double-roller mills in plants, there is also a version available without these additional attachments, so that simple integration is possible. 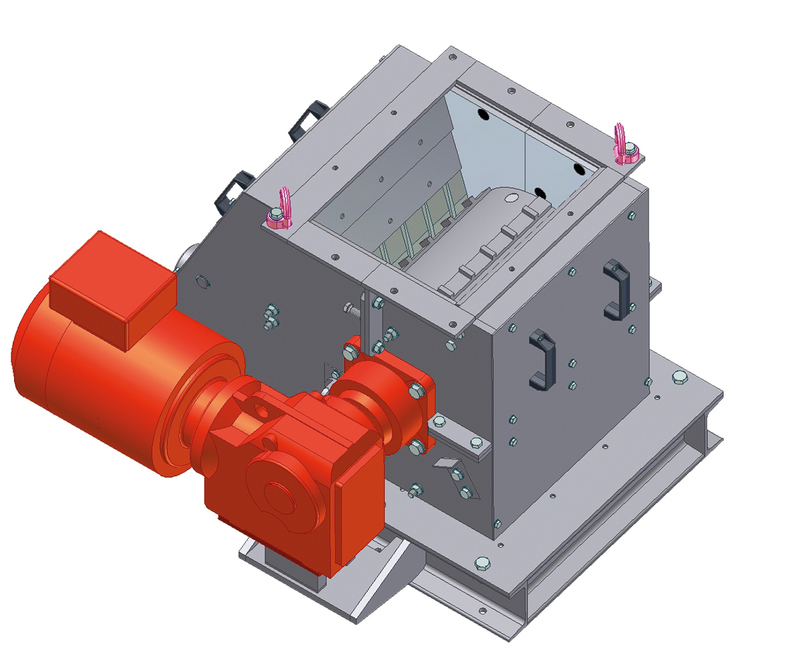 In the laboratory version, the complete upper section of the housing can be swung open once the quick release has been actuated, so that the crushing chamber can be subjected to rapid inspection/cleaning in order to prevent any cross-contamination between the samples. The crushing rollers are available in various materials (cast steel, tungsten carbide and aluminium oxide). Die Durchsatzmenge ist abhängig von der Größe des Austragsspaltes, dem Schüttgewicht und dem Zerkleinerungsverhalten des Brechgutes. Die Feinheit wird maßgeblich durch den eingestellten Austragsspalt bestimmt. Technische Änderungen vorbehalten.